My children are finally to an age where they enjoy going to museums. 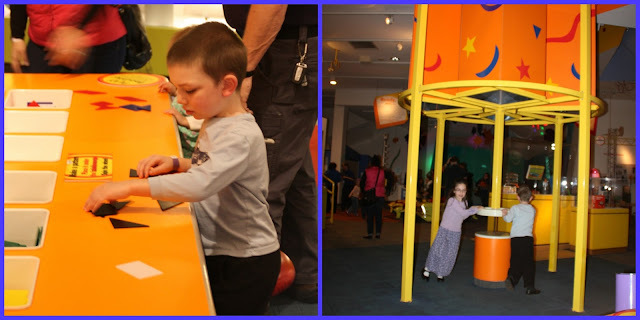 The winter of 2015 was the first time we took our children to a museum and it was only because there was a Curious George exhibit and they LOVE Curious George so it was the perfect opportunity to introduce them to a museum. Because they loved that trip so much, we bought a family pass for the year and enjoyed going many other times throughout the year. 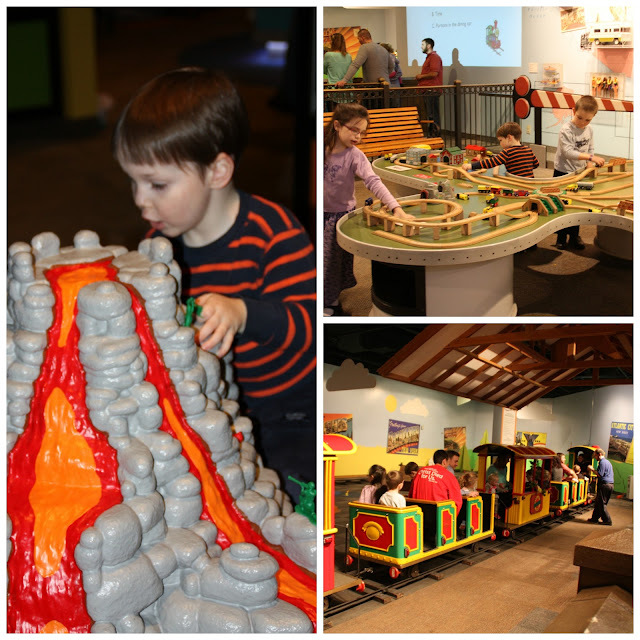 The Strong® is a highly interactive, collections-based museum devoted to the history and exploration of play. 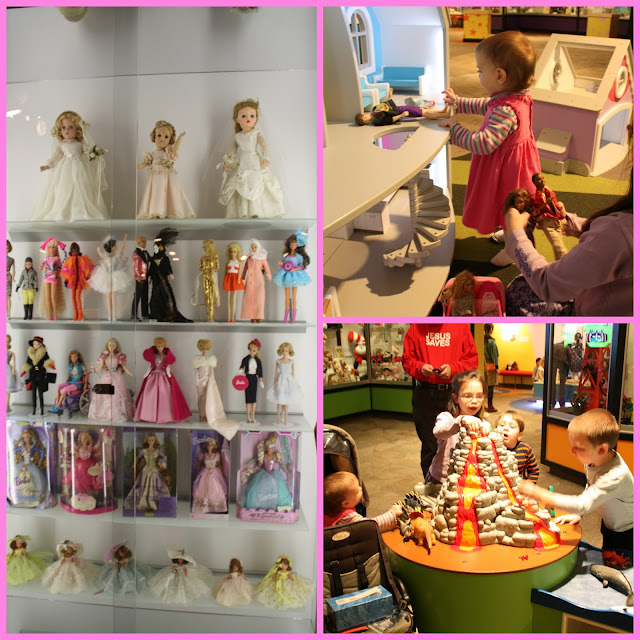 It is one of the largest history museums in the United States and one of the leading museums serving families. The Strong houses the world’s largest and most comprehensive collection of historical materials related to play and is home to the International Center for the History of Electronic Games, the National Toy Hall of Fame, the World Video Game Hall of Fame, the Brian Sutton-Smith Library and Archives of Play, the Woodbury School, and the American Journal of Play. Together, these enable a multifaceted array of research, exhibition, and other interpretive and educational activities that serve a diverse audience of adults, families, children, students, teachers, scholars, collectors, and others around the globe. I was so thrilled when I was offered the opportunity to review this museum, and we found the perfect chance back over the holiday season when my husband was off of work. 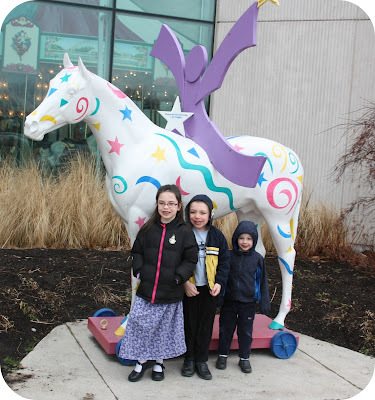 Right outside of the museum is a beautiful horse statute, which my children loved and of course, we had to start our picture journey here. So, here are my children...can you see the excitement on their faces??? When you first walk into the children's museum, there is a beautiful carousel and a fun diner car restaurant that you can enjoy. 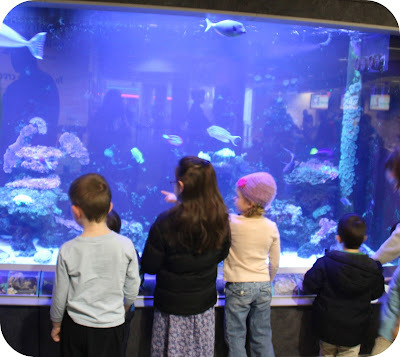 Once you go through admissions you will see this beautiful fish tank...this was hard to pry my children away from once they saw it. It was mesmerizing! Once we directed the children's attention to other things, we were on our way for a fun day of learning and play! So in the picture on the left, my son is putting various hard, plastic shapes together to form new shapes...this was so fun. Then, there was a wheel that the children could hold on to and run in a circle, which powered a large fan, making it spin the faster they ran! The hands-on experience was amazing for them. Within this same area, there was a wall that they could climb and my 3 year old (who is my climber) LOVED that! 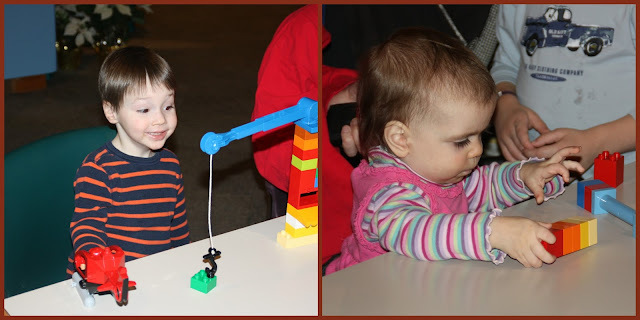 My children have recently become acquainted with Duplos and there was an entire table set up with lots and lots of Duplos. This was a huge hit. The only hard part was that they would sit down to play, and we let them play but then we had so much more to see, we couldn't stay in one place for long. 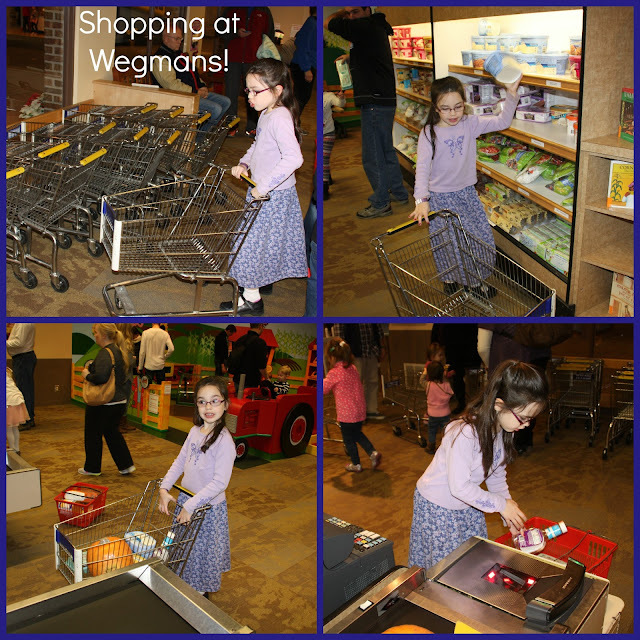 So, while the little ones played with the Duplos, I took my oldest over to WEGMANS!! So once we finished at Wegman's, we visited the post office. Here, my children could write letters, explore the process that a letter goes through when it gets to the post office, dress up as a postman and even deliver letters! This was their absolute FAVORITE exhibit of all. Really. 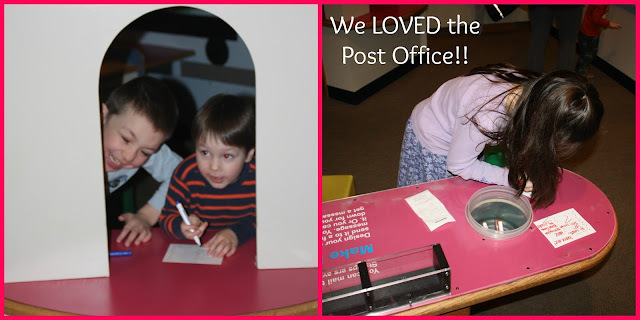 If you were to ask them today what they liked best, they would say "The Post Office!!!". And then there were the rocks. These were hard melamine rocks that were found throughout the museum in different areas. My 3 year old, in particular, was mesmerized by these and because of his love for trucks and digging, spent a lot of time in these areas. 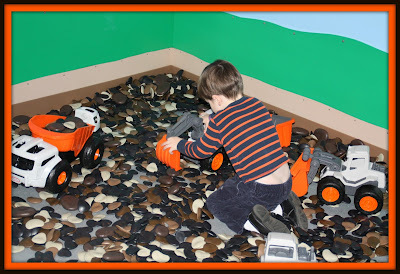 It was so fun to see him dig and dump the rocks into the trucks. There were even areas for my littlest peanut to enjoy! Notice the rocks again? Except for wanting to put every single one in her mouth, they were great fun. 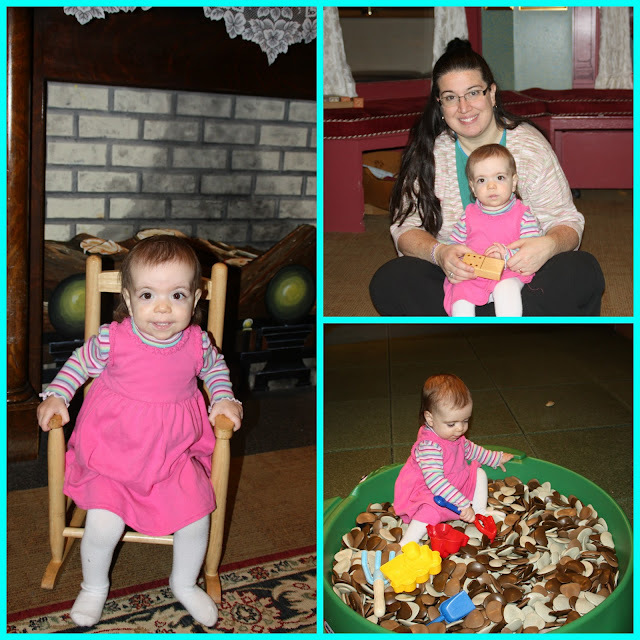 She loved sitting in the little rocking chair that was located in the colonial times house, and we hung out there for a few minutes...just sitting and relaxing. They even had a nice little room where I could sit and breast feed her privately, which was awesome. 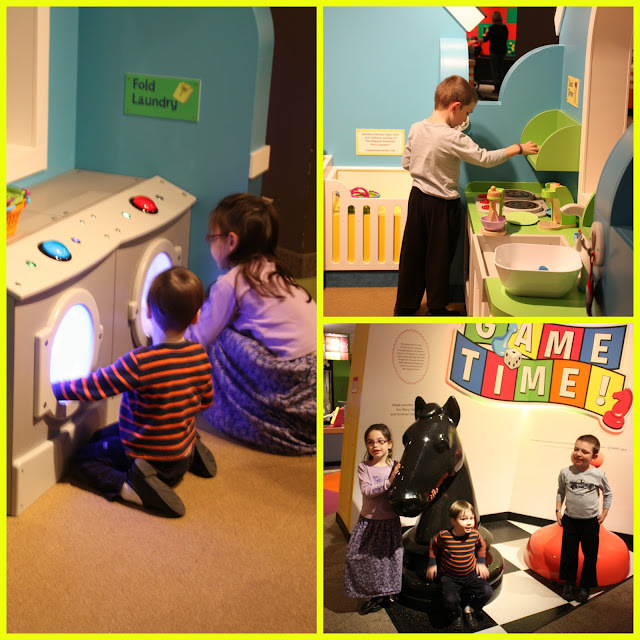 My children also enjoyed some of the other exhibits...there was a scaled down house where the children could do some role play and pretend that they were cooking and cleaning...it was great! There was also a really large exhibit showcasing some games of days gone by and games that are popular now. Another section that I loved in particular was where they had the Barbie Dolls showcased. Wow, I cannot believe how they started out and where they are now! In this same area, there was a large, wooden doll house and some Barbie Dolls that my girls were able to play with. We don't have Barbie Dolls so this was new for them. The dinosaur display was totally awesome for my boys as well...and my girls. 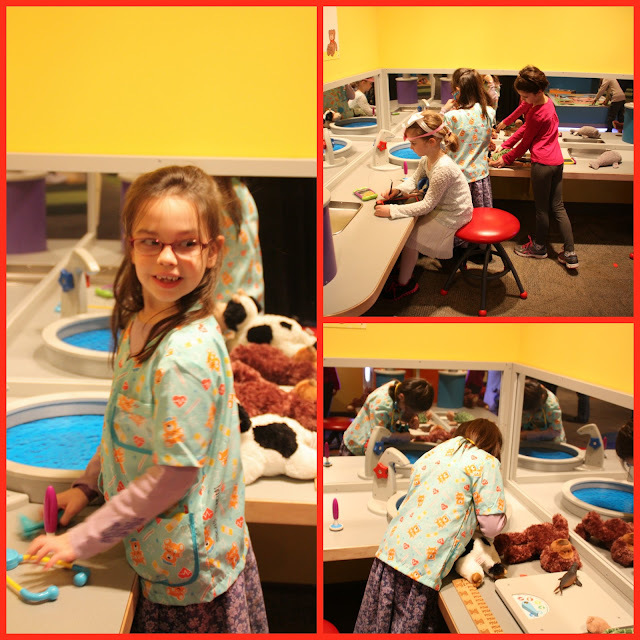 Then, there was the Berenstain Bears exhibit. This was so fun for my children too! 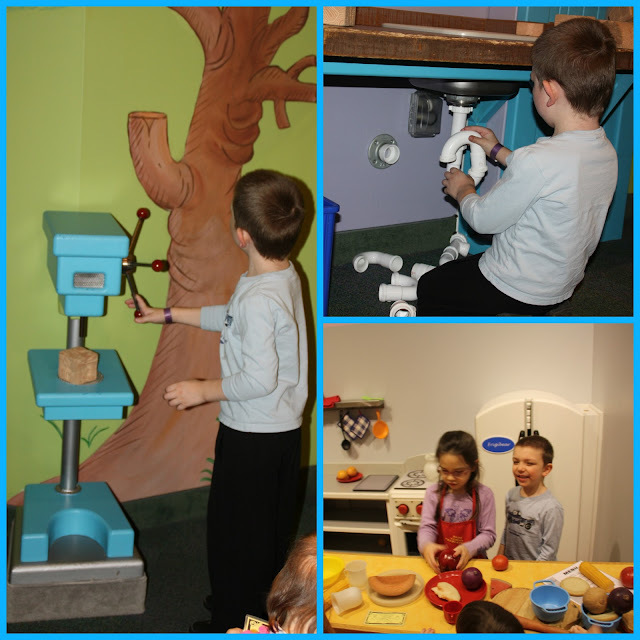 They were able to explore Papa Bear's workshop and play with the tools, fix the plumbing and run the drill press. Then, they went into the kitchen and fixed me dinner. I had my pick of so many different foods...it was hard to decide! :) There was so much within this exhibit, it was hard to focus on one thing. My children enjoyed this part of the museum very much! I saved the best pictures for last. My son LOVES volcanoes...this was part of the dinosaur table display and he loved it...couldn't pry him away at all. Then, there was the huge train table display. We have train sets for our children to play with but this was pure awesomeness for them. Haha! The last thing we did with the children was let them have a real train ride...it cost $1 for each person and was well worth it. Their faces lit up and they were just so excited...what a great memory. We spent 6 hours at the museum and the day was over far too quickly for my children. We got there when the museum opened and left when it closed. We enjoyed our lunch there in the food court (where they had Subway and Pizza Hut amongst other choices) and were able to just enjoy the entire day. 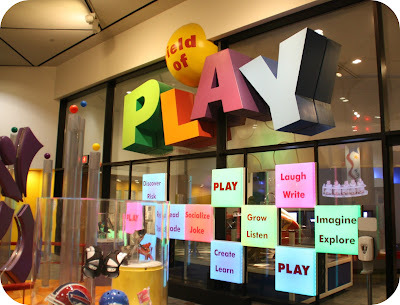 If you would like to visit The Strong National Museum Of Play, I would highly recommend it! You can check out their membership rates and see if a yearly membership would be an option for you! I think we are definitely going to consider it...for sure. We had an awesome time and cannot wait to visit again soon!!! These are very cute photos and I would love this museum. I always have a great time going to museums. I would have enjoyed seeing the Curious George exhibit since he was my favorite character when I was young.